Stitch of the week today is Cast-On stitch by the ever talented Mary Corbett. 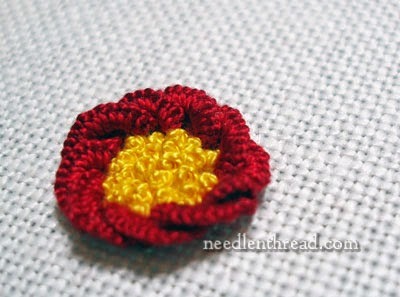 This is a great stitch for embroidering raised flowers as you will see. Have a wonderful weekend and enjoy this tutorial. This is wonderful for raised petals in embroidery!